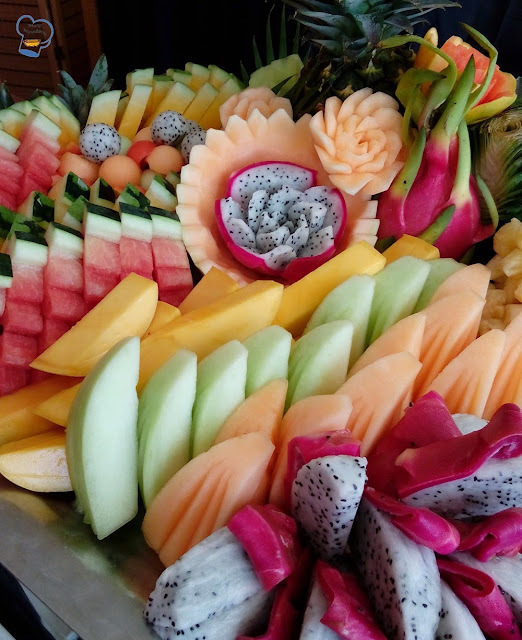 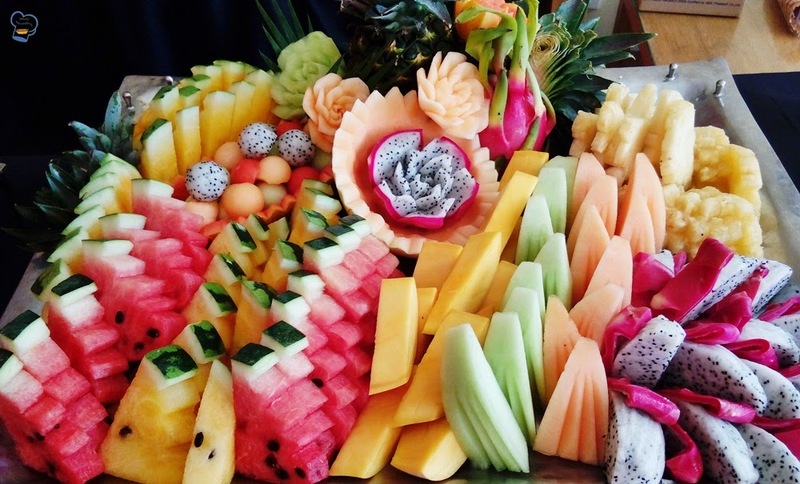 We offer seasonal fruits at brunch on Sunday. Here is the fruit tray which the new staff arranged elaborately. 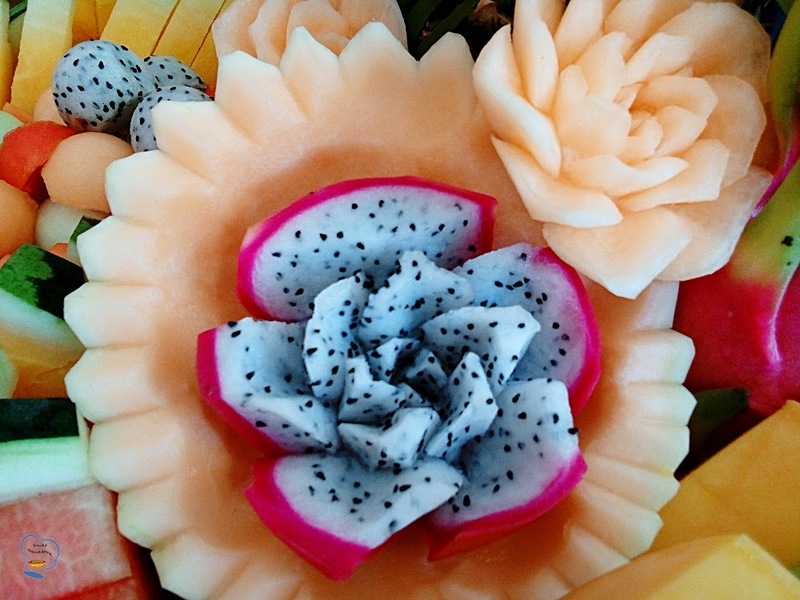 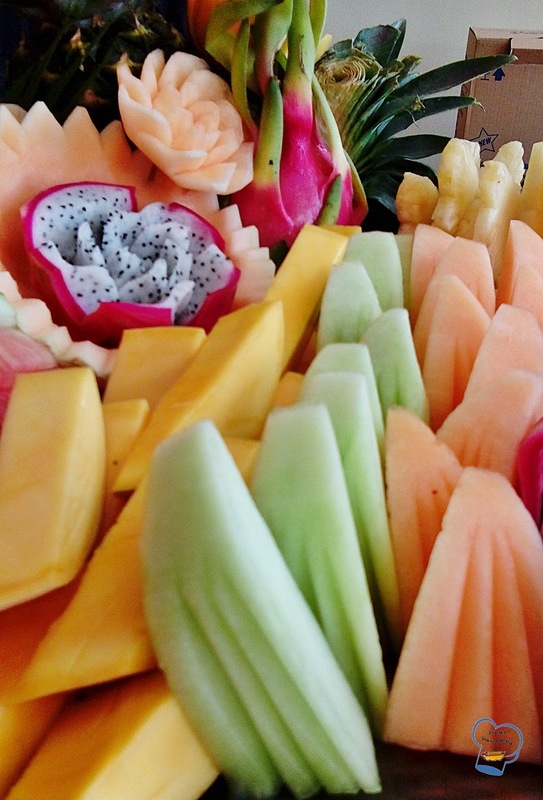 Melon and dragon fruit are transformed into flowers. 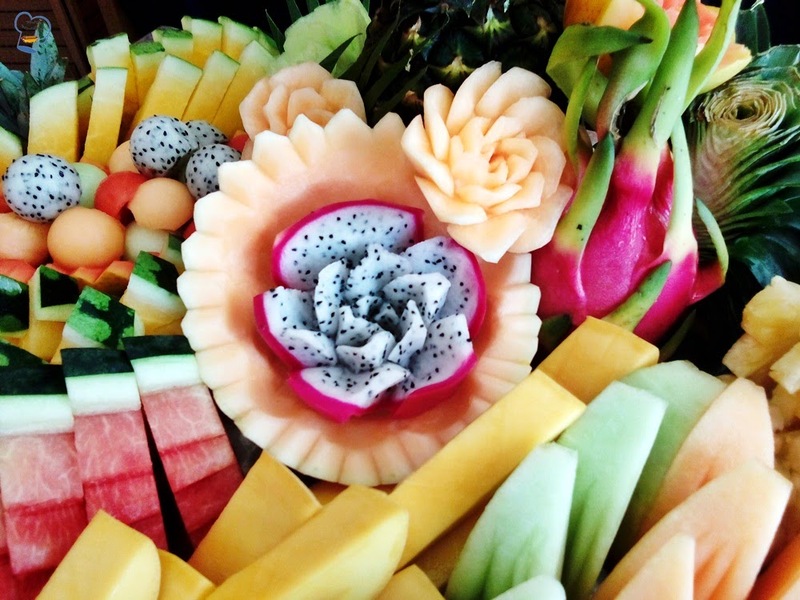 Closer look of the fruits. 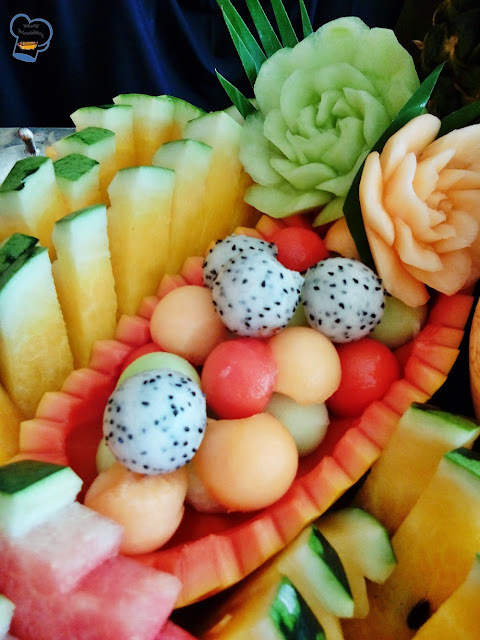 Fruit balls in a carved papaya.